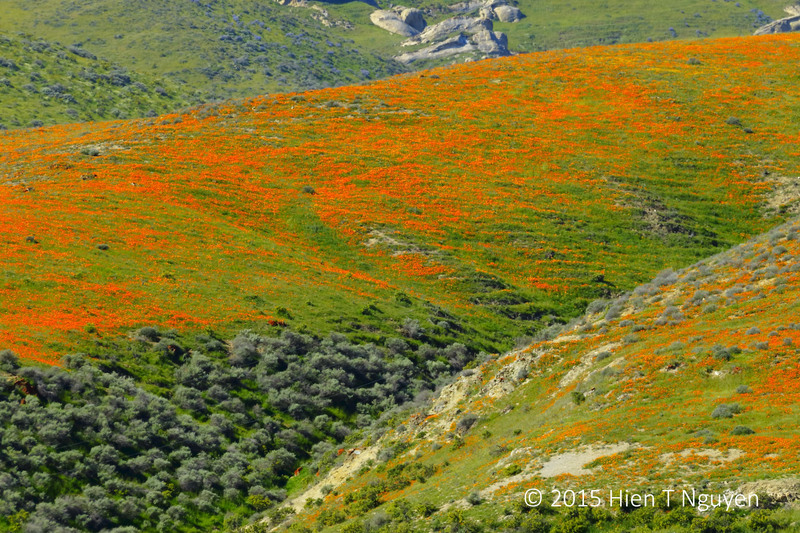 More pictures of the amazing scenery along Highway 46 in California in early March. 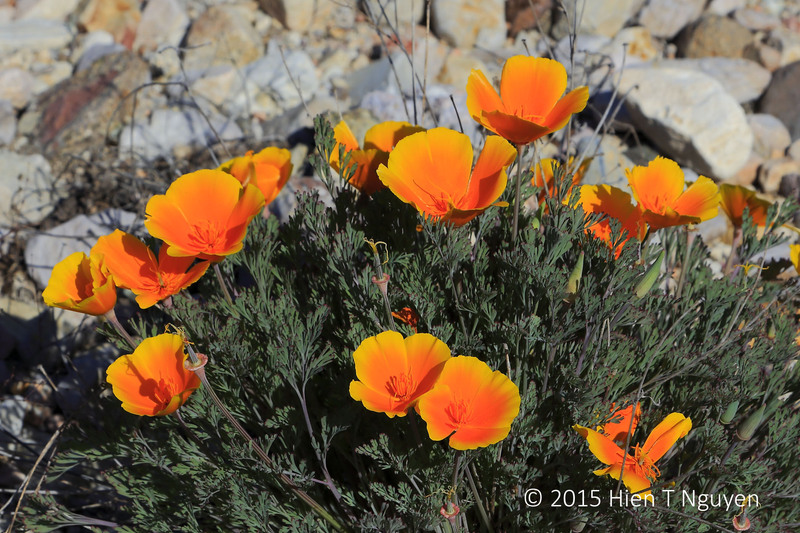 These are the flowers that accounted for those masses of orange. 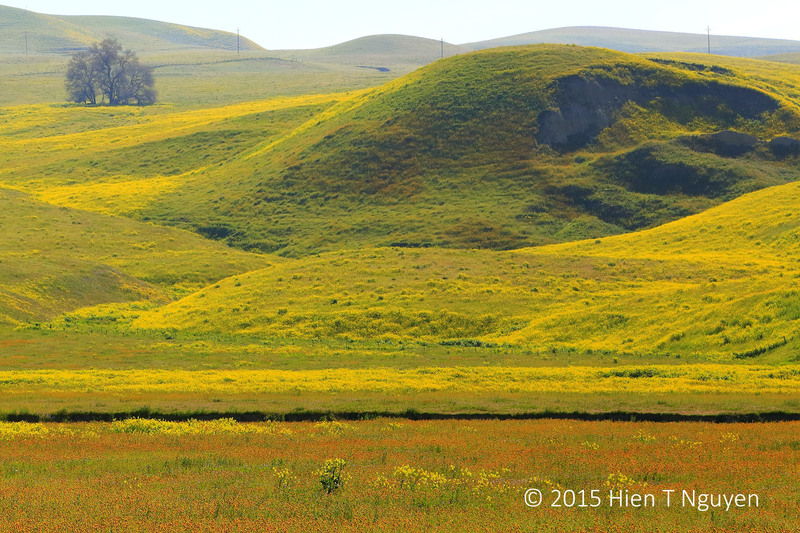 There are no flowers in this last photo, but the green hills were striking nevertheless. 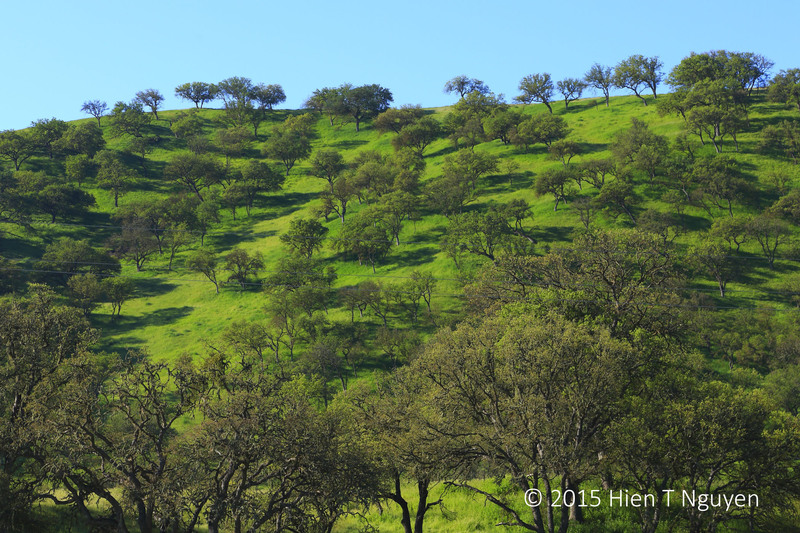 Along Highway 46: green hills. Lovely landscapes, so alive with the greens and the orange/yellow flowers! What a beautiful view along the way! 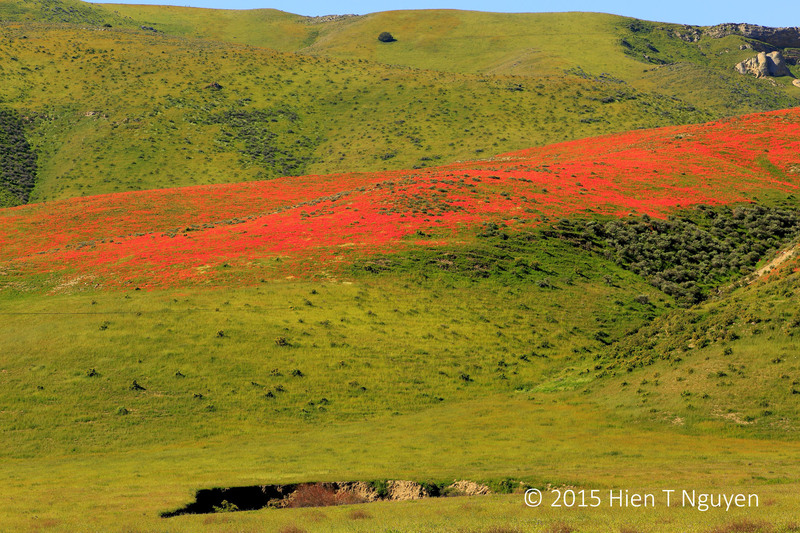 Great images too..
Fabulous post Hien!A real feast for the eyes!Wonderful extended views over the green fields and the hilly land,the orangish poppies are amazingly showy on the bright green areas! Thanks! Glad you like the photos. You should go there around March and April. It makes for a nice drive. Lovely! What a beautiful drive!